Having a puppy is, in many ways, like having a toddler or young child in the house. And just like life with a small child, life with a new puppy is full of fun, laughter, love…and the more-than-occasional mess to clean up. Having a puppy can be very rewarding. When you bring home a cute puppy you’re not just getting a pet—if you treat him or her right, you’re making a lifelong friend. A puppy will offer you something seldom found in this world: unconditional love. Your new puppy doesn’t care how successful you are. He doesn’t care whether you’re a supermodel or an average Joe. He doesn’t care if you’re the life of the party or a complete introvert…he loves you anyway. And he’ll have no problem letting you know with hugs and kisses, or at least licks and snuggles. Dogs are attuned to their owners’ moods, so you can bet if you’re having a bad day your new best buddy will be there for you when you’re down. Puppies also provide loads of entertainment. Like any other baby or toddler, your new puppy has nearly boundless energy and playing with him can provide hours of fun. Just watching your puppy try to navigate his world and explore his surroundings can be better than TV. 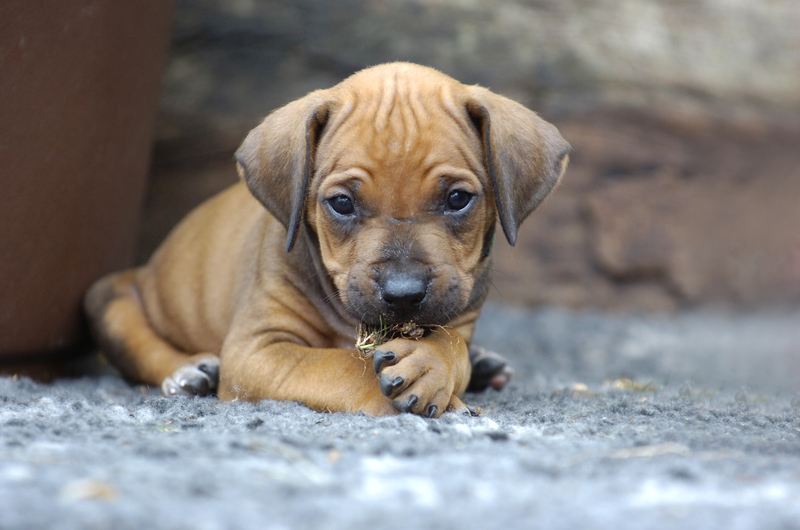 A cute puppy is also a great conversation-starter, so he or she can even open up new avenues in your social life. Of course, just as with children, it’s not all sunshine and roses. No matter how much you love your new puppy, there will be times when he tries your patience and you wonder why you ever took on the responsibility of being a pet parent at all. Some of the most common frustrations new puppy owners encounter happen simply because puppies are just that…puppies, not adult dogs. Like children, they have to learn what kind of behavior is acceptable and what isn’t, and like children they are sometimes afraid of being left behind or of monsters under the bed. They may cry because they’re lonely. They may have a hard time sitting still when they’re told to, or get too rough when they play. They may potty at inappropriate times in inappropriate places. And they may chew on things they shouldn’t touch—because like human children, teething is uncomfortable and chewing things makes them feel better. When these inevitable problems occur, try to be understanding and resist the temptation to scold your puppy. Correct him very gently, especially if you can catch him in the act of doing something inappropriate, when he can associate the correction with what he is doing at that moment. Rewarding good behavior with a treat or a dog toy will be far more effective than any form of punishment. Puppies may not understand why you are mad, but they will definitely respond to the positive reinforcement coming from a reward. So have patience with your puppy, just as you would a child. With consistent, compassionate training, both you and your new puppy will make it through these growing pains.